1. “Without Sunday, we cannot live.” This was the firm declaration of the second century Abythinian Martyrs. The early Christians called Sunday or the first day of the week the “Lord’s Day”. It was the day when the Lord, having risen from the dead, appeared to his disciples gathered in assembly. 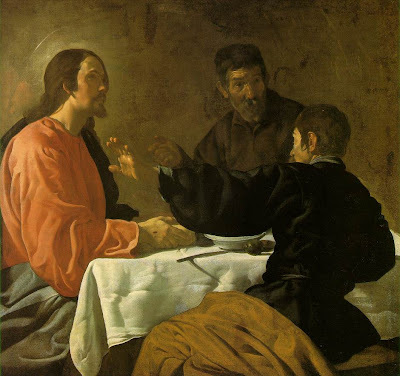 The familiar story of the two disciples making their way to Emmaus on the day of the resurrection (Lk 24: 13-35) confirms the Church’s belief that on Sunday Jesus manifests himself in a special way to the liturgical assembly through the preaching of the word and the sacramental signs of bread and wine. tragic events that befell Jesus in Jerusalem. They were running away from Jerusalem, the city of suffering and defeat. Had they known earlier that Christ had been raised from the dead, their courage and hope could have also been raised. We too are subject to the fear of suffering and defeat. We experience too our own Jerusalem. Like the disciples we need to experience the power of the resurrection.